Shen Yun Performing Arts launched its 2014 world tour with 10 performances at the Jones Hall for the Performing Arts in Houston, Texas. The premiere performance was held on December 23. 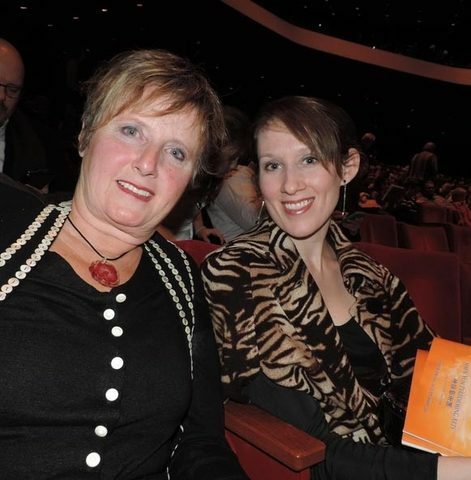 As in previous years, show-goers were enchanted by the beauty of Shen Yun's signature choreography, colours and costumes. Many were pleased to discover a deeper layer of spirituality within the performance, with allusions to the meaning of life and divine ancient culture permeating the music and dance programs. With a brand-new production each year, Shen Yun's ability to transcend the boundaries of language, culture and race continues to bring inspiration and hope to diverse audiences across the globe. Robust ticket sales worldwide reflect how people from all walks of life yearn for an experience that some have described as “a slice of heaven here on Earth.” People in Houston were no exception. “The philosophical part, the universal objective is that which everybody can relate to... To seek the truth of what the meaning of life is,” said Luis Delgado, who makes a living as an investor. 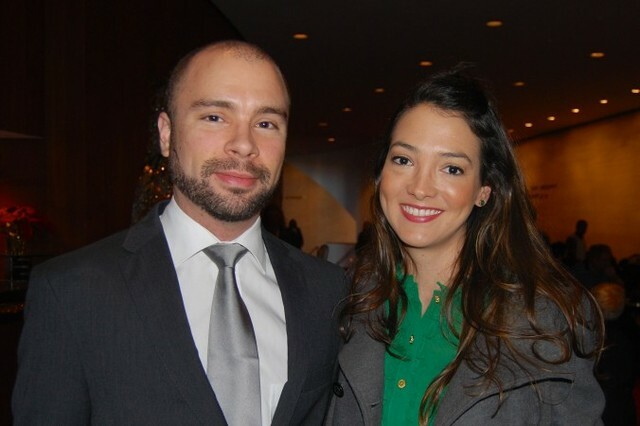 Mr. Delgado attended the matinee performance on December 24 with Ana Rico, a jewellery and graphic designer. Both were blown away by the artistry through which the history was displayed. “It’s amazing... It’s modern, but you feel it is ancient also,” commented Ms. Rico. Dr. Gonzalo Uribe-Botero acknowledged the divine aspect of the performance and spoke highly of the Chinese traditions. 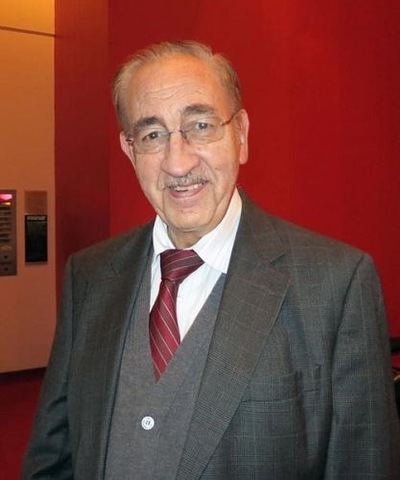 Dr. Gonzalo Uribe-Botero, a physician, spoke highly of Shen Yun's efforts to bring back the Chinese traditions through music and dance. “This is something that we cannot lose. You cannot lose this kind of tradition... This is coming from heaven!” he said. After watching the performance at the Jones Hall for the Performing Arts in Houston, Brad Mitchell, general manager and CEO of Quality Oil Tools, said his family thoroughly enjoyed the performance. “I thought it was really well choreographed into the dance and the presentation, especially the consistent message of the connection between heaven and Earth and people... It was really well done, well choreographed. The music was excellent, and the costumes were very impressive,” Mr. Mitchell said. 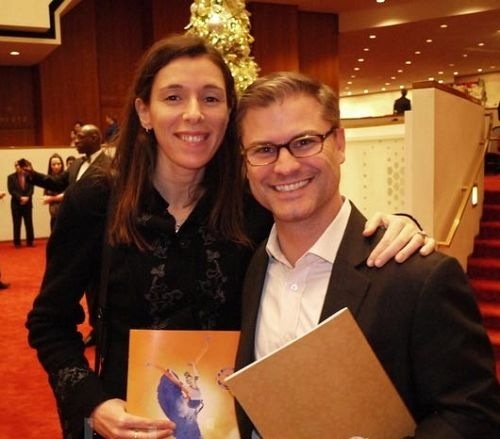 Mr. Scott Mackey, a banker at Wells Fargo, thought Shen Yun speaks to everybody on a spiritual level. The stories presented by Shen Yun through classical Chinese dance have “a deep, long sense of history” and “ancient quality” and are inspiring, noted Mr. Mackey. New York-based Shen Yun Performing Arts was formed in 2006 with the mission to revive 5,000-year traditional Chinese culture, which has been largely destroyed under the communist rule in today's China. Shen Yun comprises four equally large companies that tour the world simultaneously each year. One of the four companies will embark on the Canadian leg of Shen Yun's 2014 world tour in Quebec City on December 27. For more information about Shen Yun, including all of its 2014 tour dates and locations, please visit ShenYunPerformingArts.org.